When Katie Simpson discovers her boyfriend boffing "Fishpants Fraser," she vows to eat toenail clippings before getting involved again. Life as "the ginger spinster of Pelham Parish" will be lonely, but bearable as long as she shags lots of strangers and hangs tight with her friends. Unfortunately, Katie has the unerring ability to hit on the only gay man at the party (not again!). And her pals are somewhat preoccupied. Mover-and-shaker Janice has started scoping funerals for doddering sugar daddies. 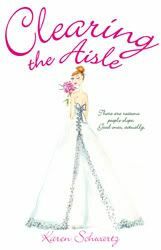 George, Katie's gorgeous, flamingly gay best friend (yes, she's tried it), is madly in love with an Aussie heartbreaker (struck out there, too) who needs some speedy nuptials to stay in the country. What better opportunity to plan a fake wedding more elaborate than a ten-tier cake? Light & fluffy like good frosting, this is somewhat of a throwaway read - not one that you will remember too much when you finish it, but fun none the less. A smart little book that ends up with all the pieces falling into place, you'll enjoy Katie's journey with all of her quirky friends. This is pretty close to a perfect beach read, well maybe a watch-the-leaves-fall read, so pick it up. 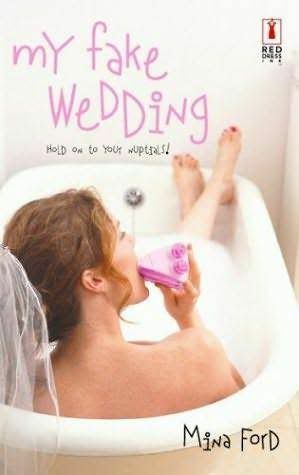 When Rachel Silverstein and her longtime boyfriend Dan Gershon decide to get engaged, they hardly expect that planning a wedding will be more difficult than any life changes they've braved in the five years they've been dating. After all, they already live together. But suddenly everyone from parents to friends to cousins to caterers seems to be losing their minds completely. Surely it can't all be in Rachel's head. Can it? I didn't get it. This book took me nowhere. I kept waiting for it to be worth my time, but it never got there. Don't bother! 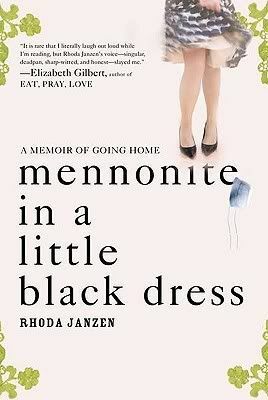 Written with wry humor and huge personality—and tackling faith, love, family, and aging—Mennonite in a Little Black Dress is an immensely moving memoir of healing, certain to touch anyone who has ever had to look homeward in order to move ahead. I had trouble understanding why this woman who moved so far away from the Mennonite faith of her youth, yet put up with an abusive husband, but this memoir is worth the read. Reading about how Janzen went back to her family, who are big-wigs in the Mennonite faith, after her life fell apart leads her to re-examine the faith she left behind. He results are surprising and I found them really interesting. I love a good biography with a twist & this one has several. Pick it up! 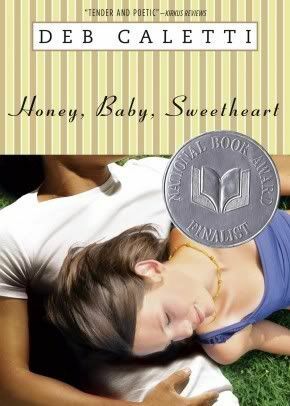 As usual, Deb Caletti does not dissapoint her YA readers. These are characters you can relate to with situations that seem like they could really happen. 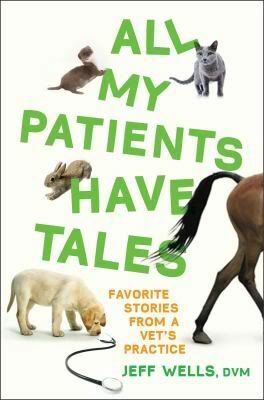 All My Patients Have Tales is a charming, funny, and engaging collection of stories in the great tradition of James Herriout's All Creatures Great And Small. Jeff Wells describes the first scary cases he takes on at the start of his career, right after graduating from the Iowa State University College of Veterinary Medicine, and as he becomes a seasoned and beloved vet, we watch him grow and flourish over the years. Wells works in a "mixed practice," treating farm animals and house pets, with the occasional exotic thrown in. The many life-altering, life-threatening, uplifting, and hilarious episodes Wells relates feature a turkey attack, a pregnant male cat, porcupine-quill-covered terriers, a heavy-metal Chihuahua with road burn, an ornery pygmy donkey, a giant hog, a constipated cow, and many others. Each of these cases reveals not only Wells's wisdom and great sense of humor - without which he surely couldn't do his job - but his sensitive and caring approach to both his charges and their owners. This perfect little gem of a book will appeal to animal lovers, "pet parents," and anyone who has ever toyed with the idea of becoming a vet. This book of animal stories just didn't do it for me. 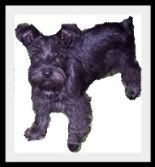 Even though I'm an animal lover (my schnauzer has his own blog, for Pete's sake) I found most of these stories a little flat & just kind of boring. My opinion is this one is only for vet-wannabes and those who really like pet stories.